As Lebanon marks 44 years since the start of its civil war on Saturday, families whose loved ones disappeared during the conflict hope they might finally get some answers. 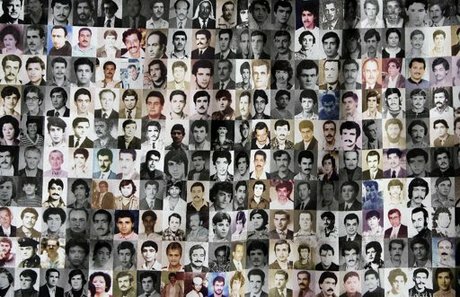 More than 150,000 people were killed during Lebanon’s civil war and some 17,000 people went missing, according to official figures. A joint operation between the Internal Security Forces’ anti-drug bureau and Saudi police led to the arrest of a man for smuggling more than 800,000 Captagon pills bearing the Rolex logo, an ISF statement reported Saturday. The Saudi police’s anti-drug bureau had informed its Lebanese counterpart about a refrigerator truck with a forged Lebanese number plate carrying a large quantity of Captagon pills .The ISF unit in the Bekaa Valley discovered the truck, and on April 9 arrested its owner, identified as Syrian national M.M., born in 1987. According to the United Nations Office on Drugs and Crime (UNODC), the three countries reporting the highest Captagon seizures are Saudi Arabia, Jordan, and Syria.Militants in Syria are said to use Captagon to endure in battle. But it’s also popular with wealthy young people in the Middle East. Israeli warplanes conducted mock air raids over the southern city of Sidon after firing missiles overnight towards Syria from Lebanon’s airspace, the National News Agency reported on Saturday. NNA said Israel conducted the mock raids at dawn and its airplanes flew at a low altitude over the city scaring the residents. Israel violates Lebanese airspace almost daily: UN Secretary-General Antonio Guterres said in a report to the Security Council released last Monday. “(UNIFIL) recorded an average of 96.5 air space violations each month, with an average of 262 overflight hours.” he added. Ministers in Lebanon are campaigning to persuade neighboring Syria to reduce its trade tariffs. Lebanese farmers and business owners say high transit taxes on imported goods are damaging their livelihoods.